Armed with sanitation guidelines from agencies such as AIB, FDA, USDA, and OSHA – and an ample supply of white gloves beneath their trench coats – the team commenced its mission with sanitation reviews of six campus distribution centers. At each facility, KANE associates were interrogated (sorry, interviewed) regarding sanitation practices both inside and outside buildings. In-place sanitation measures were compared to the precise requirements of regulatory agencies and outside auditors. 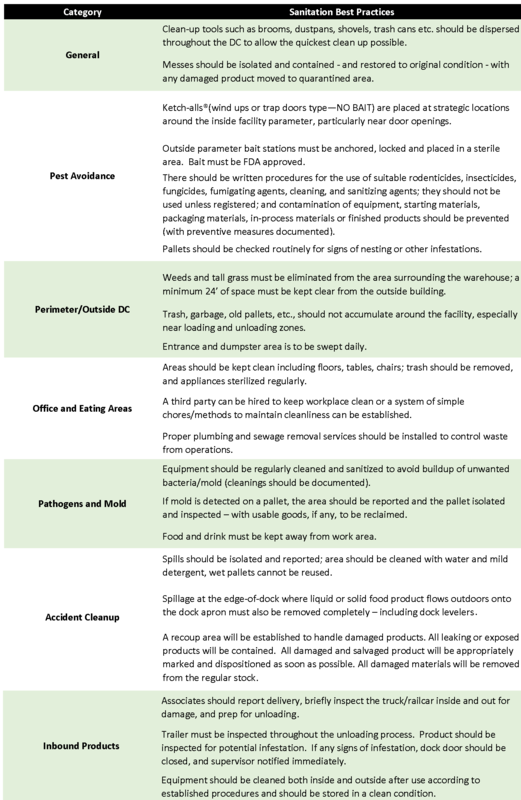 The sleuthing turned up no discrepancies and the Clean Team generated a report to serve as a summary of good sanitation practices (GSP) for other distribution centers. All management levels of KANE (senior leadership, DC management) run a tight ship and practice what they preach. The KANE workforce (forklift operators, order pickers, office personnel) are in lock-step with leadership's stated goal of excellent sanitation results. The sharing of best practices among the KANE DCs is a proactive method to challenge all operations to keep the focus on sanitation. The numerous awards and citations from customers, including being the first DC to get a 100% pass rate from Walmart, are well deserved. 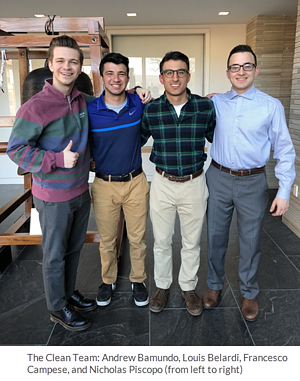 KANE would like to thank the Clean Team Project group from the University of Scranton: Andrew Bamundo, Louis Belardi, Francesco Campese, and Nicholas Piscopo. The team did an excellent job and learned, we think, that safety/sanitation is pretty serious business here at KANE. KANE invests time to support supply chain education at several universities, including projects with the University of Scranton, Cornell University, Auburn University, Colorado State University, Ohio State University, and Penn State University.